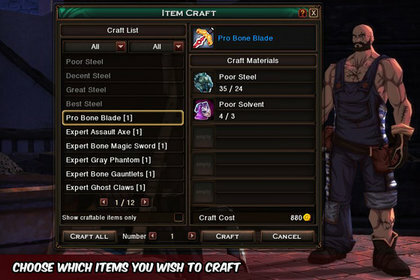 Crafting is probably the most common MMORPG feature out there, it usually starts out with players gathering materials and then manufacturing them to produce equipment and other useful items. Crafting dates back to some of the first MMORPGs out there and is still a must have for most modern MMORPGs. Crafting is almost one of the features that defines MMORPGs and it seems like it won't be disappearing any time soon.